The Rough Tree Fern or “Wheki” as it is known in it’s native New Zealand, has a slender black trunk covered in stiff bristly hairs. 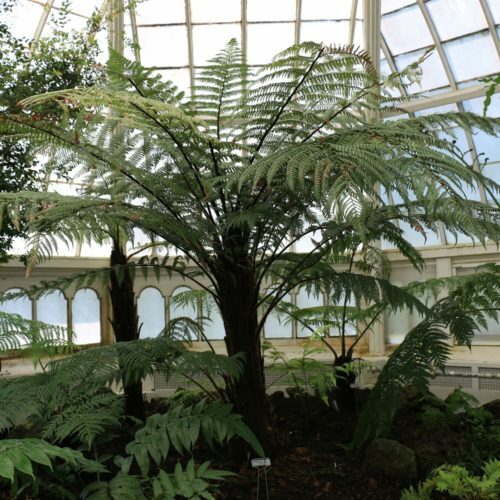 Due to this plants ability to spread from underground rhizome it is one of the most common tree ferns in its native range. The fronds emerge almost horizontally giving an umbrella-like appearance to the crown. Tolerant to cold conditions this tree fern has been planted around the world as an ornamental. Maori people indigenous to New Zealand also used the dead trunks to fortify their hill forts. Spores of this aerial fern are highly flammable, and were once a primary ingredient in fireworks and in flash powders used in photography. The dry spores are also hydrophobic, which makes them repel water, and were used as a waterproofing powder for pills, and surgical gloves. 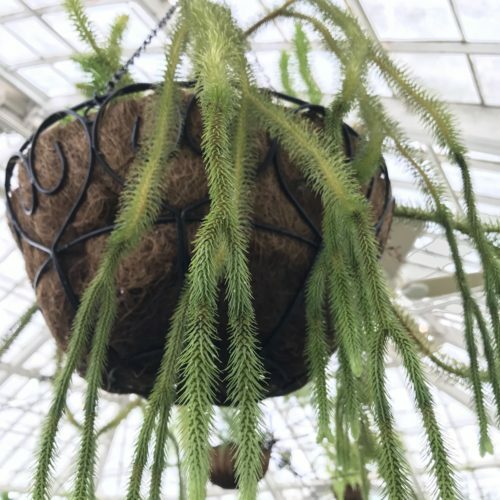 Plants in this genus were once a part of the genus Lycopodium from which they differ by not having specialized spore-bearing cones. 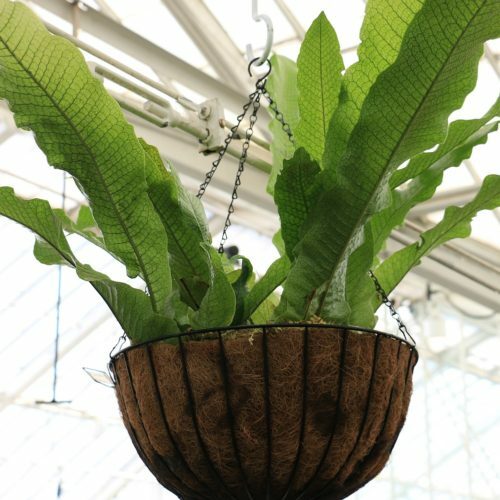 Owing to the texture of the leaves the Crocodile Fern comes to us from the Malaysian Archipelago and makes a great house plant. It can tolerate medium shade and prefers to stay moist but well drained. The genus Microsorum is a combination of the Greek words mikros meaning small and soros meaning a cluster of spore capsules which refer to the small spore patches on the underside of the leaves.